San Mateo County recognized eight individuals and organizations for their contributions to the community. 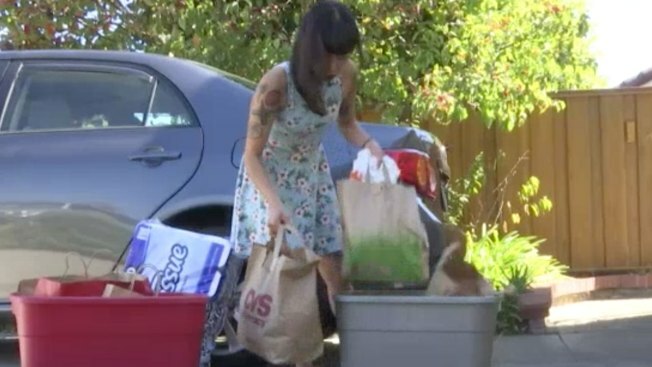 Cheyenne Fong started an effort last year called "Replenish SF." It was recognized recently by San Mateo County for significant community contributions. Replenish SF has started to help restock necessities like toothpaste and tampons in order to help shelters fulfill the needs of domestic violence victims who are seeking emergency shelter. Many domestic violence shelters in the Bay Area can’t anticipate the number of guests that will be seeking their emergency services in a given week. When Cheyenne Fong heard that donations often failed short of providing all of the toiletries needed by victims fleeing to shelters, she started looking for possible solutions in her own community. She decided to start an effort called "Replenish SF." After posting on social media, asking friends, family and anyone that would listen to donate these items, it started to gain attention. She has started using this platform to raise awareness about domestic violence and related issues in the community. Though collection bins and the support of those donating, Replenish SF has been able to start restocking necessities ranging from toothpaste to tampons at local shelters. The organization was one of two recognized for significant community contributions in San Mateo County's first Asian and Pacific Islander Awards. Fong has been able to place collection bins at Aqua Surf Shop, 3847 Judah St, San Francisco, CA 94122, and Bomb Shell Bay Area, 1655 El Camino Real, Millbrae, CA 94030. The awards were sponsored by the Peninsula Conflict Resolution Center and the Office of San Mateo County Supervisor Carole Groom.